The LAESF campaign raises funds for scholarships that support students from Northern New Mexico who are pursuing degrees in fields that will serve the region. Veronica Trujillo from Velarde is a 2018 recipient of a LAESF scholarship. 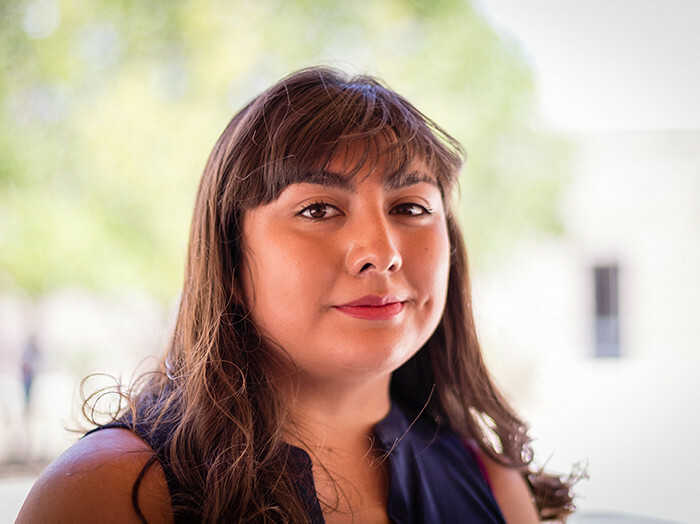 A graduate of Española Valley High School, she studies electrical engineering at NMSU. In 1998, Los Alamos National Laboratory and its employees, retirees and contractors partnered with the Los Alamos National Laboratory Foundation to create the Los Alamos Employees’ Scholarship Fund (LAESF). The Fund’s goal is to provide scholarships that support the students of Northern New Mexico who are pursuing degrees in fields that will serve the region. Awards are based on academic performance, leadership potential, critical thinking skills and career goals. Financial need, diversity and regional representation are integral components of the selections process. Many award winners are the first in their family to go to college, some have overcome incredible challenges to stay on track and excel. All winners have challenged themselves to uniquely achieve their educational goals and express the desire to give back to others through their careers. The scholarships are independently administered by the Los Alamos National Laboratory (LANL) Foundation. By receiving a scholarship from LAESF, students are given validation from employees of Los Alamos National Laboratory. Lab employees, contractors and retirees, along with Triad National Security contribute to building a sustainable scholarship fund that makes educational opportunities available to hopeful students, many of whom may not have the money, support, or encouragement to attend college. The 2018 drive raised more than $400,000 from Laboratory employees. Learn more about the scholarships at the LANL Foundation's site.